Opus Business Media is pleased to welcome Rebekah Thompson as the new editor of Tomorrow’s FM. Opus Business Media is pleased to announce the appointment of Matt Waring as editor of Tomorrow’s Cleaning. Sarah Robinson has joined Opus Business Media as the new editor of Tomorrow’s Flooring and Tomorrow's Retail Floors. 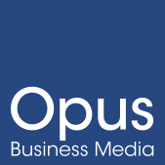 Opus Business Media is pleased to announce the appointment of Tanita Cross to the company’s editorial team.